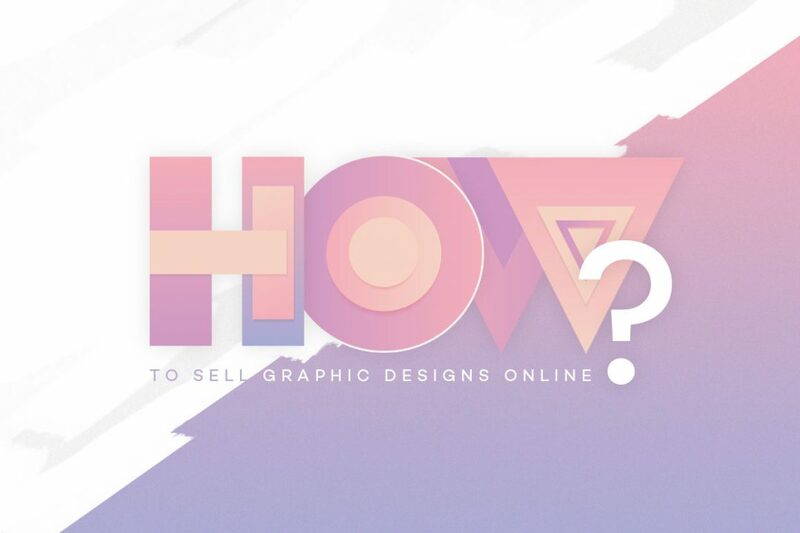 Selling graphics on microstock sites is definitely an option, but don`t be mistaken, it`s probably the hardest way to make a living. The competition is fierce and it`s growing larger every day. It is also a rather “cold” business. You will not be able to contact your buyers or know who they are or for what purpose they`re using your graphics. Now, this might not strike you as a big deal, but in the long term, it is a very big deal. If you wish to make a name for yourself, build a brand and have returning buyers and customers, this type of business model will hold you back. Another thing to consider is your workflow. If you`re thinking about selling your graphics on stock sites you need to be ready to upload up to 10 high-quality images per day. Quality is always the most important factor, but on microstock sites, quantity is right there beside quality. You need to have both to be successful. This will be anything but a passive income and it gets stressful at times. If all this sound good to you, then you should consider contributing to Shutterstock. It is by far the best money maker in the field. None of the others come close with the exception of iStock by Getty Images. These sites rely very much on the current trends so if you don`t follow trends it will result in poor sales. You can have a very unique style and high quality but your buyers here are large advertising agencies, software companies etc. Their job is to reflect the latest directions in technology, fashion, interior design and lifestyle so your graphics should reflect the same. You need to be relevant. Your images need to be in demand. The pricing model is quite scary until you realize how things work in microstock. You will be making as little as $0.25 per image, later on when you establish yourself with more sales it will go up on $0.38. You can check out the Earnings Breakdown if you wish to know more. This is quite eye-opening. It is clear that you are in fact in the numbers game. The more you sell, the more you earn. More images you have, more to choose from. I already mentioned that it gets stressful. One of the many reasons for that is the lack of support. They are swimming in thousands of emails from contributors every day and they are drowning. So you are basically on your own. There are definitely things out of your control there, but I still think it is a good option if you are a brave soul and you meet all the criteria. Creative Market is my favorite marketplace by far. They took the best from microstock and dropped everything that`s wrong with it. Creative Market is everything but a “cold” marketplace. It`s run by people who genuinely care for their sellers. If you decide to sell there, you will see who your buyers are and you will be able to contact them and let them know how much you appreciate their support. Unlike microstock sites, once that you are accepted as a seller you will not have to go through a review process again. With microstock, each image needs to be approved before it is available for purchase. However, you will have to provide a link to your online portfolio to be considered as a seller on Creative Market. Another difference is that you will have the freedom to offer whatever files you wish, not just vectors and jpegs, but also psd, pdf, png, URL-s, SVG etc. This will give you an opportunity to offer more to your customers, which leads us to another plus. The ability to choose your own prices for the products that you`re selling. This is a biggie and hard to find elsewhere. Of course, you need to be smart while pricing your products, don`t go too low or too high, it is a good idea to see how other designers go about pricing their products so you can choose the price that you and your customers accept as fair. Support on Creative Market is unlike any other, you will feel appreciated which means a lot! How much money you will make depends on your products. Browsing through their site will help you get a better feel for what is selling there. Don`t look only at homepage, sure, you will see the best sellers there but that doesn`t paint the whole picture. Look through the single categories like icons, textures, patterns etc. This will give you a better picture of what is trending in each category, maybe you will fit in there. If you get on the first page of a certain category, it means that you are making money. Creating products for Creative Market will very much defer from creating images for stock sites. It is a more laid-back approach, it is quality over quantity. You can make a lot of money even if you have only a few products. It is not a numbers game, it is about quality meets demand. So if you spend a few weeks working on your next product the world won`t end. Just make sure that it sells once that is released because even though it is more laid-back approach it doesn`t mean that it can be low quality work. In fact, I believe that it needs to be the best work that you can offer. Otherwise don`t even go there, it simply won`t work. The last but not the least, you will be able to notify your customers about discounts and updates on your products. I think this gives you an idea of what to expect in this marketplace. If you decided to sell graphic designs online I highly recommend you to consider Creative Market. This will not be an option until you have noticeable sales on other marketplaces like Creative Market or Graphic River. If that happens you will start getting offers from bundle sites. Basically what they do is bundle up a lot of products from different designers and artists in one large product. This large product will be 90% off of the original price, the original price would be in thousands of dollars. Since I am writing this blog post only from my own experience, I will say that I am not a fan of bundles. I think they can be very harming to our industry. That said, I do have experience with Design Cuts and it is extremely positive one. They have a large customer base, their support is top notch and they make sure to keep you updated about everything that will be important to you. Their bundles usually last for two weeks, after that the offer ends. So, it can be a great boost to your earnings if you decide to participate. So if you ever find yourself in the position to offer your designs as a part of a bundle I would recommend Design Cuts without any doubt in my mind. While looking how to sell graphic designs online, print on demand sites often come first to mind. It is a very saturated market and very competitive. If you do your research on these type of sites you will most definitely notice two of the biggest players: Redbubble and Society6. I don`t think that I can tell you which one of those two is better. It purely depends on your style. Each site has its own distinctive look, if you can figure out where you fit in better, that is the one that you should choose. Look at their social media accounts like Instagram and see what kind of artwork they`re featuring. If this is similar to your own works then you do have a chance to do well there. You will have to update your artwork portfolio regularly. Quantity and quality is important here as well. I would say that the biggest difference from other mentioned online marketplaces is that this one is more artsy and abstract. Obviously, your buyers will hang your artworks on their walls. They will use them as duvet covers or as window curtains so have that in mind when considering print on demand sites. When I first started selling graphics online, I had a hard time choosing the right marketplace. After my research, I just wasn`t sure what will work for me and what will turn out to be a huge waste of my time and effort. I decided to do a test, I worked simultaneously on both stock sites and print on demand sites. I made sure to upload frequently on both sides, so I can have a more accurate result. What I found is that stock sites, well, one stock site, Shutterstock, did much better than any other stock site or print on demand site combined. This is my experience, that doesn`t mean that you will have the same result as I did. So my advice is to do a test of your own and to see what works for you. I don`t think that is wise to be involved in too many marketplaces, because each one takes a great deal of energy, effort and time. Focus is the key here. Don`t take on a commitment you won`t be able to fulfill. Find two, max. three marketplaces that will suit you and keep at it. You could find only one, that is an option too, but I do think that being dependent on only one marketplace is not a very comfortable place to be in. My focus now is on Creative Market, my website and Shutterstock. Setting up your own website and starting to build your own customer base is the logical next step. If you want to sell graphic designs online, you need to know it is a marathon, not a sprint. Don`t expect to get where you want to be fast. It takes a lot of patience and discipline to get there. But it sure is worth it. If you have more questions just leave your comments and I will be happy to answer!